Man hangs by his hair for over 23 minutes: A Sri Lankan in Australia has set a new world record in a very unusual way. The Sri Lankan born man dangled more than a metre off the ground for over 23 minutes by his hair. 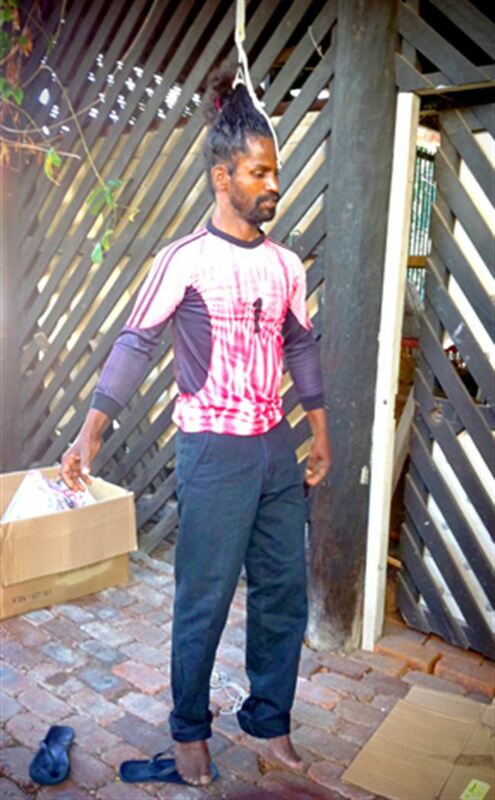 "My hair is strong because I usually use natural oil," Suthakaran Sivagnanathurai said. The record was set in Queensland. Sivagnanathurai says that he overcame the pain by meditating. In an attempt to set a Guinness world record, the 37-year-old performed an aerial act in which he was suspended by his long, black locks. For an astonishing 23 minutes and 24 seconds Sivagnanathurai was literally hanging by his hair. The feat had previously never been attempted. Sivagnanathurai, who weighs 57kg, said he was able to perform the feat through yoga and meditation. He has been practising the discipline for almost 27 years. Sivagnanathurai tied his hair into a hang rig which he used to suspend himself from an elevated pole. "There is a little bit of pain, especially when practising ...before my hair and scalp had a chance to get conditioned to support my body weight," he said.